Getting my Pregnancy Workout DVDs in the mail. I’ve ordered Summer Sander’s Prenatal Workout and The Perfect Pregnancy Workout. Now I can workout in the warmth of my home. Puma HRM. I just love the design of the thing! 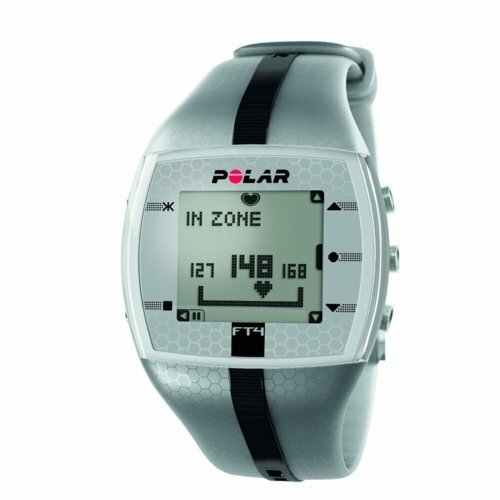 Polar HRM. More features, still pretty sleek. Enrolling in a Prenatal Yoga Class. Freeman Yoga in Fullerton has a promotion going on right now that allows prospective students one free class of their choosing. Their prenatal yoga class is on Sunday morning which is perfect for my schedule. I’m going next Sunday. Yay! Getting Pregnancy Books. Right now, I’m thinking about foregoing What To Expect While You’re Expecting all together and just sticking with the Mayo Clinic Guide. Any thoughts on this from the beautifully fit mommies out there?